The Donut Gang is recognized by a couple of logos. 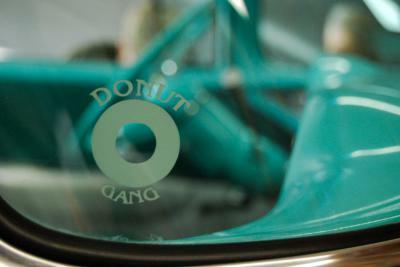 The original logo features a glazed donut surrounded by the words, "Donut Gang of Austin." There are many hats, shirts and decals on our cars with that original logo. 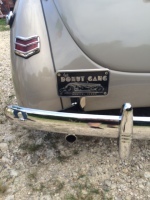 A newer logo features a 1934 Ford Roadster and the words, " Donut Gang of Austin." The new logo also appears on shirts and hats and our new Donut Gang plaques.